The Second Sun creeps across the sky, growing ever closer to the horns of the God-Pharaoh. 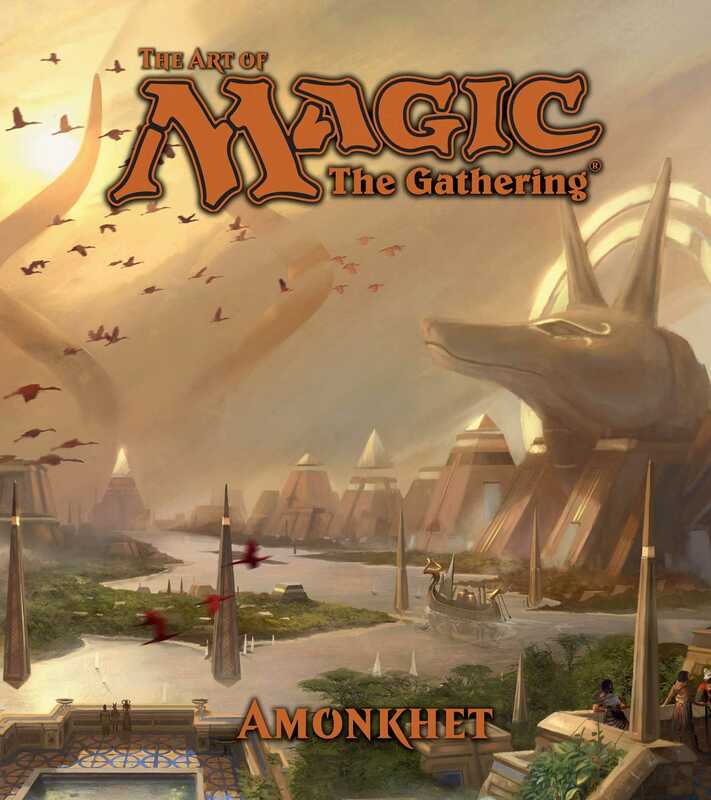 These pages, lavishly illustrated with the award-winning art of Magic: The Gathering®, will introduce you to the people of Amonkhet, whose life is a series of trials meant to prepare them for the great God-Pharaoh’s return. Join the heroic Planeswalkers of the Gatewatch as they come here to face the evil dragon Nicol Bolas, whose schemes span the planes of the Multiverse. he glorious hope and desolate despair of Amonkhet await you as the final hours draw near!